As we’ve seen, the big questions in philosophy have changed from century to century. All the old questions, though, are still unanswered. Western civilization didn’t answer them, it just moved on. In philosophy, progress comes not from answering questions, but slowly, gradually, getting over them. One of the questions that used to seize my interest is this one: What does it mean to be human? This question seemed to matter. It seemed to matter because whatever it was that was unique to our species would therefore be a precious and sacred thing, something to cultivate and get more of. If it was reason that made us human, then we ought to try hard to be rational in all things. If it’s the use of ethical principles, then those principles take on grand significance. Or if it’s humor and laughter that makes us human – well, then, we better laugh. Because, otherwise, . . . we forfeit our humanity. We've become . . . inhuman. Indeed, the question of what it is to be human has inspired thinkers and activists that have done good work. For example, as recently as ten years ago, an anthology of essays came out titled, What Does It Mean To Be Human? compiled by Frederick Franck. Contributors included the Dalai Lama, Jimmy Carter, Mother Teresa, Vaclav Havel, Desmond Tutu, Oscar Arias, and about 90 others, reflecting, says the dust jacket, "on our shared human condition and attempting to define a core set of human values in our rapidly changing society." Sounds like good and important work. This notion of “our shared human condition,” once evoked a powerful and promising appeal, a vision of solidarity and cooperation and common cause. It doesn’t resonate for me so much today. Why not “our shared animal condition”? Out of these contradictions, a relationship with animals that is both new, and very old, is emerging. We are questioning practices that treat animals as commodities, and instead, looking for respectful ways to coexist. We are moving toward relationships with animals that are more like those of indigenous peoples -- seeing animals as fellow creatures living alongside us in complex interdependent ecosystems. That book 10 years ago might have been one last hurrah for a way of thinking that was already on its way out, the contributors almost all over 60 then. In fact, insofar as the question is still around, it has a different meaning now. Today, if you google the question, “What does it mean to be human?” you find material on human evolution – how our species’ physical traits and behaviors evolved over millions of years as our ancestors adapted to dramatic environmental changes – that sort of thing, like this from the Smithsonian Institute, in conjunction with this from National Geographic. Interesting stuff, but not the sort of earnest investigation into “our shared human condition” that aimed to articulate core human values to be the foundation for universal justice and peace. In some ways, in fact, the question has become the opposite of what it once was. The evolutionary story is a story about how a particular sort of animal, us, emerged into what it is. It’s the same kind of story that we’d tell about how bears evolved into their present form. Or yaks. Or penguins. The old interpretation of “what does it mean to be human?” was just the opposite: what qualities distinguish us from all-the-other-animals-lumped together? The presumption was that we humans have some special provenance and responsibility as the bearers of this thing called “the human condition” that is both our burden and our glory. This notion of “the human condition” functioned to divide living things into two classes: humans, and everything else. The newer approach to the question sees smooth gradations rather than sharp divides. Just a little more development in this or that section of the brain – and, in fact, a little shrinking in a few other brain areas -- and a little more opposability of the thumb, a little dropping down of the voice box – and there we are. 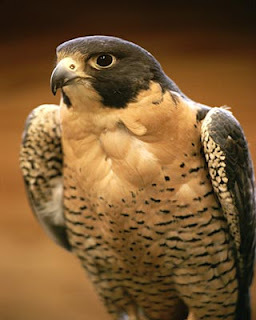 We emerged from a process of gradually distinguishing ourselves as an animal, not from animals – a process essentially similar to the way that, say, the kestrel and the peregrine falcon came to be distinguished. No, not that kind of falcon either . . . So the big philosophical question, “what does it mean to be human?” as that question used to be understood -- is one that I have gotten over. If you yourself are not quite over it, and you’re wondering how you could get over it, I can tell you how I did it. I started dating a veterinarian. Maybe that’s not really an option for you. I understand. It did work out nicely for me. No, not that one. 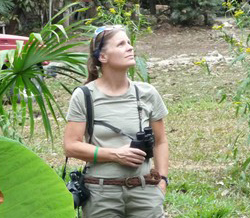 A wildlife veterinarian. That’s actually an amazing thing. We humans are the beings that can relate to each other in that very complex way. No other species appears to be able to attribute to another a belief different from their own. Now, I know what you're thinking. You're thinking, "what girl wouldn’t be charmed out of her socks by that?" right? Nothing doing. We had our first argument. She accused me of arrogant human triumphalism. Well. What guy hasn’t been accused of arrogant human triumphalism? In any case, my views have changed. The way that opinions change is often like this: you simply stop thinking about the issue directly for a while. A year or two goes by in which, if the issue comes up, you shrug it off. Then one day, you’re ready to come back to it, and when you do, you find that you see things differently. What I see differently in this case isn’t the answer to the question. It’s my attitude toward the question, and toward that answer. The question, what do humans have that other species don’t is now, for me, roughly on a par with: what do people of medium height have that shorter people and taller people don’t? I suppose there might be an answer, but it’s not a very compelling question. And the comparison is apt because in the animal world, humans are sort of medium. There are some things we humans are really good at: like communicating learning and preserving it so we can build on it. We’re not the only ones that do that, but we are really good at it. Other things, humans are not so good at. 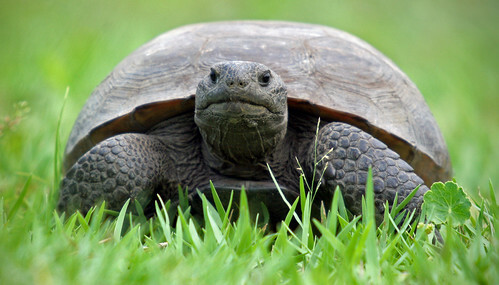 Other species have sensory and motor abilities that dwarf ours. Dogs live in a world of smells that we can but dimly imagine, and bats and dolphins live in a world of echolocation that we cannot imagine at all. To get a sense of myself, to arrive at self-understanding, to feel my place and purpose in this universe, it turns out that it is not, after all, terribly helpful to know what separates me from other species. It is, instead, helpful to know what connects me with other species. The answer to the question, "Who am I? What am I?" consists mostly of stuff that nonhuman animals also have. I’m not going to truly know myself by picking out one or a few unusual skills – the ability to understand others as having beliefs that can be different from my own, for example (if that even is an example). I know myself by grasping the inheritance that I share with the gorilla -- with the gazelle -- with the goose -- with the gopher tortoise. I can pretend that my life is run by the cognitive processes of the neocortex. The fact is, it isn’t, and pretending that it is puts me out of touch with a huge portion of who I am. Ignoring my reptilian brain doesn’t make it go away – doesn’t make it stop guiding my behavior. My language centers and neocortex notice my behavior, and they make up a story about this character named “Meredith” who is heroic, yet with certain endearing foibles. At each moment of the day this “Meredith” can be found deliberately and intentionally acting. Whatever it is he’s doing is a reasonable part of his pursuit of reasonable purposes. This is an after-the-fact story. The behavior came first: brain studies show that the motor signals of movement are already going out to the muscles before any conscious awareness of an intention forms. Our story about ourselves as intentional, purposeful, and rational is made up after the fact. My neocortex and forebrain and language centers are really, really good at making up stories to rationalize whatever it is they notice I’m doing. But that’s not where the doing came from. It is possible for a human to sit down and reflect and plan and form an intention, and then carry it out. Possible. 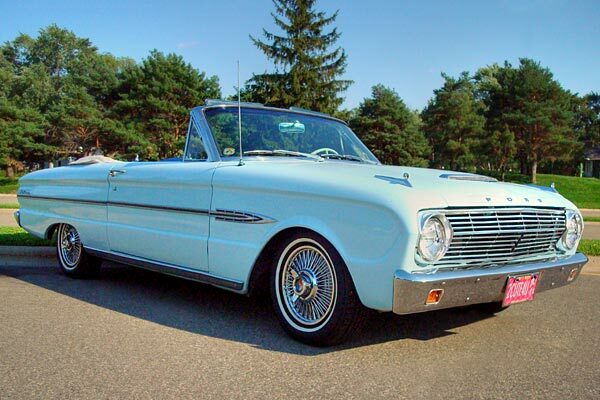 Also fairly rare. We humans can go for whole days without intention ever once preceding action. Yet my brain makes it seem to me that everything I did was just what I meant to do. That’s the delusion I live in. To get to the truth about myself, I must attend and befriend my animality. I am made, as many species are, to walk the savannas and woodlands of this wild earth. It is where deep parts of me find their greatest comfort and ease. The thin layer of neocortex can make the rest of my body sit in front of a computer all day. If I am in touch with all of myself, then I feel those other parts biding their time, waiting to return to their element. 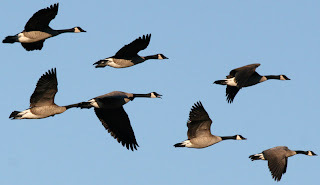 Friends, the path to become “more deeply human is by acknowledging, affirming, and growing into our animality.” (David Abram) Only then are we able to hear that the honking of wild geese actually is, “over and over, announcing your place in the family of things” (Mary Oliver). I do not disparage the fine things my neocortex can do, the level of detail of envisioning the future that my more developed forebrain can do, nor the wonders of language produced and comprehended by my human versions of Broca’s and Wernicke’s areas. These functions are great. They are only a small part of who I am. They also cause problems. 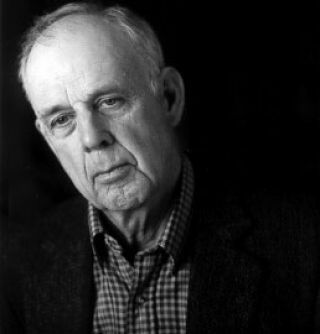 The forebrain that envisions the future can so easily start obsessively worrying about that future -- in contrast to the "peace of wild things who do not tax their lives with forethought of grief" (Wendell Berry). The language centers, creating their own little world of story loops, can leave me oblivious to the nonlinguistic awareness of each moment. 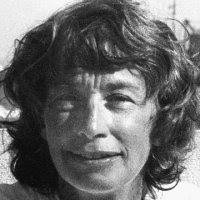 Closer contact with, and awareness of, the animal in me -- "the soft animal of [my] body, lov[ing] what it loves" -- causes a greater respect for my fellow beings who, with me, share the burdens and the glories of "the mammalian condition," "the warm-blooded condition," or "the vertebrate condition." And there’s a feedback cycle, because as heightened self-awareness leads to greater respect for my fellow vertebrates, so also greater respect for my fellow vertebrates helps me develop better self-awareness. For example, for me, deciding to be vegetarian has led to greater self-awareness. Let me explain that. I don’t see the slaughtering as the problem. Putting them out of the unremitting misery and pain to which factory farms consign these animals for their whole lives is the kindest thing we do for them. It’s not that they die that is the issue. We all die. It’s the life that matters. What those numbers mean to me is that every year the US meat industry is bringing 35 million more cows, 105 million more pigs, 9 billion more chickens into lives of constant agony. Sometimes, not every day or even every week, I sit still and take in what I know about those conditions from the documentaries I have seen and the detailed descriptions I have read in books and articles. We know enough about cow and pig and even chicken physiology to know that what is going on in them parallels what goes on in humans under conditions of extreme pain and stress. I sit with that, the intensity of the suffering and the vast, vast scale of it, and I weep. For wild species, a "good life" is having undisturbed habitat such as they were made for, and being left free from human interference or encroachment. Not all species are wild. Our planet now has millions of dogs and cats and domesticated cows, pigs, sheep, goats, and chickens. Whatever wild habitat their ancestors once roamed is not the habitat that they are prepared to be sent back to. They’ve evolved, and the wild wouldn’t be the good life for them anymore. What would be? The life they evolved for is one of small farms, spacious pasture, room to move around, form relationships with the other farm species, including the humans. There’s a small movement afoot for what are called "default livestock." It looks like it offers domesticated livestock species their version of the good life: space to explore, relationships, mating and offspring – meaningful and appropriate participation in the cycle of life of which we are all a part. Default livestock is also environmentally much better, since default livestock only eat food that humans can’t or won’t eat. It’s done that way in much of the world, and in permaculture. Factory farms, on the other hand, use grain feed. It takes about 10 pounds of grain to make one pound of cow meat. That’s a loss of 9 pounds of grain that we could have been feeding people with – or letting more land lie fallow, reducing nitrogren pollution from the fertilizers and pesticides, or reducing the cutting down of forest for yet more grain fields. It takes about 4 pounds of grain to produce one pound of pig meat. Right now, 35% of the world’s global cereal production is being fed to livestock. It's true that if all livestock were “default livestock” we would not have as much meat. We would, however, have more than you’re probably thinking – if Simon Fairlie is right. 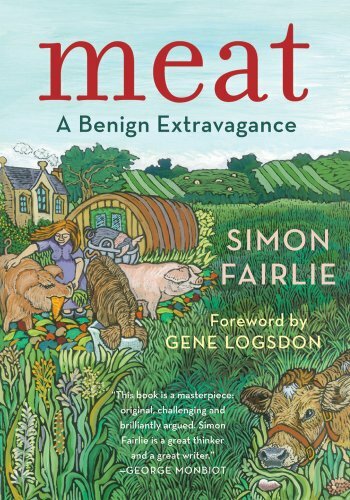 Fairlie’s book, Meat: A Benign Extravagance came out a few months ago. Fairlie estimates that a worldwide default livestock system would provide enough meat for everyone on the planet – all nearly-7-billion of us – to have the equivalent of three hamburgers a week. Maybe that’s a bit less than you’re used to. It’s four or five times what a lot of people get now. And it’s sustainable. There are farms today that do provide their livestock with everything we now understand the good life for livestock entails. It is possible to get meat from these farms -- the meat of animals that had a reasonably good life for the species that they are. Possible, but for most of us, not easy. Claims that meat is "organic" or "free-range" or "cruelty free" are often misleading, the claims are unregulated, and the animals are often still subjected to considerable misery. Finding a reliably humane source of meat takes research and an actual visit to the farm to see for yourself, and I personally just don't care enough about meat to invest that time and effort. So I play it safe and remain contentedly vegetarian. If I were, however, somehow assured that all meat being sold was from default livestock, and that the animals actually had a good life of a reasonable span, I might – and here’s where I appall my vegan friends again – and I’m sorry – I might . 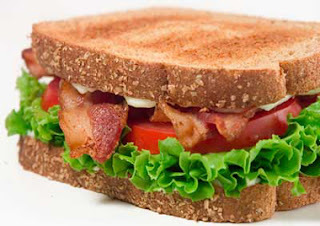 . . have a BLT every once in a while. I might. Maybe once or twice a year. Species have many, many different strategies for perpetuating themselves. In the Australian redback spider, the much smaller male inseminates the female, and then she eats him. He gives up his life to provide her with the nutrition that will improve the chances of his offspring hatching. It’s the bargain that he struck with evolution to get his genes passed on. As pigs, cows, sheep, chickens evolved into their domesticated forms, they struck a similar bargain with evolution. Humans provided the conditions in which they bred – and humans helped them do so: with even, in the last century or so, pretty good veterinary expertise to help with difficult deliveries. On the old-fashioned farms the critters got to have a reasonable span of life. If they had that span of life, and then the slaughter itself was as humane and as free of pain and stress as possible, that would be a very different scenario from the present reality. My concern with the life rather than the death has a parallel in Unitarian theology and history. We are the people who, 400 years ago, turned away from the prevailing European emphasis on Jesus’ death as the atonement for our sins. Sixteenth-century Unitarian theologian Faustus Socinus settled among our early Polish churches. His extensive works laid out a theology that told us, look to Jesus’ life, what he did, what he taught. It is the quality of his living that needs our attention, not his death. For the factory farmed animals today, I believe, it is the quality of their lives that needs our attention, not the fact of their death. And the quality of the lives of the cows, pigs, and chickens in factory farms is the worst. It is the biggest, harshest, most painful ongoing cruelty on the planet. If you don’t know what factory farms do to those animals, the conditions in which they must spend their lives -- well, then, why don’t you know? I can guess why. Because the cognitive dissonance can get pretty rough. So when I say that, for me, deciding to be vegetarian helped my path toward self-awareness, I mean that when I no longer had to push certain knowledge out of my mind just in order to have lunch, then I was just a little bit more available to love and respect the creatures of my world. When my food choices no longer supported the harshest ongoing cruelty on the planet, then I was a tiny bit better able to respect and honor my whole self -- including the parts of me that are just like them: pain receptors work the same way, adrenaline and fear and stress work the same way – and creature comforts, if they could get them, would work pretty much the same way, too. I was better able to be with all the animal that I am. A substantially revised version of this post is now up. For "On Being Animal (revised)", click here.